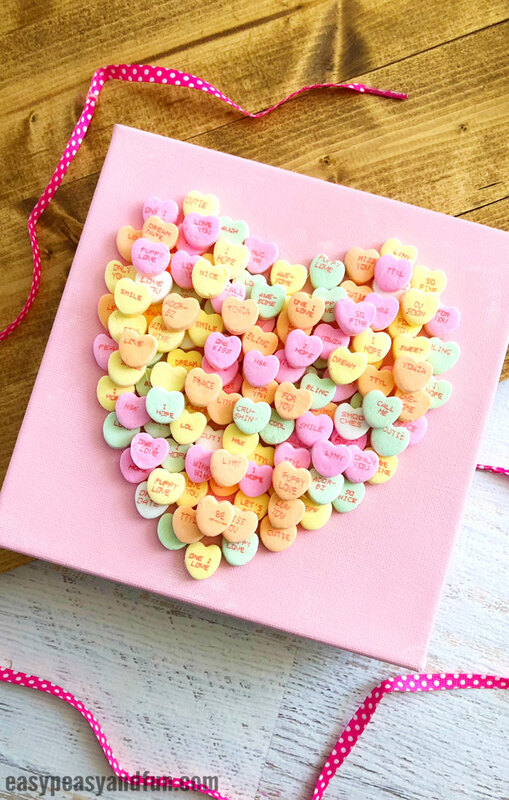 Conversation hearts have become a huge part of V-day. But what if you just have to many? 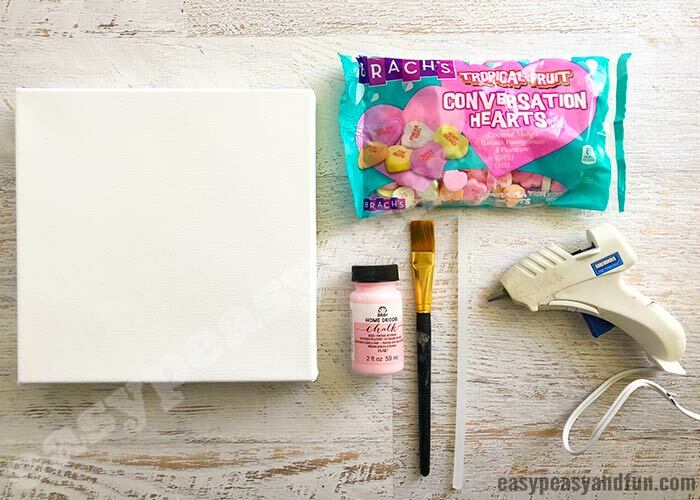 Well, make a conversation heart Canvas art. 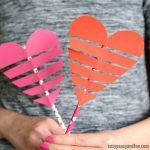 This one is also an adorable DIY Valentines day gift idea. 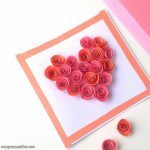 Wish to make something sweet for Valentines day? No pun intended (or was it?). 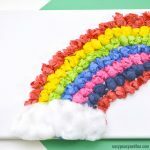 This DIY tutorial is best suited for older kids (and kids at heart) as it’s best made by using a glue gun, but you can also get a low temperature glue gun that’s safe for younger kids to use (and is great as is this project, for fine motor skills). 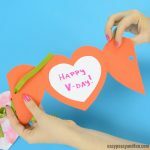 It’s a wonderful Valentines day craft idea to make with tweens and even though it’s made out of candy you can seal it to give it more longevity. 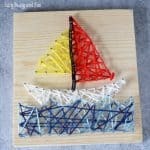 Hot glue/hot glue gun or low temp glue gun for younger kids. 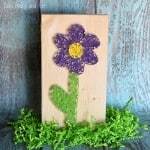 If you plan to seal it and use it as a display for years to come – resin works out great (adults only), spray sealer will protect it too. Lay out a piece of newspaper before you get started to protect the surfaces and for easier cleanup afterwards. 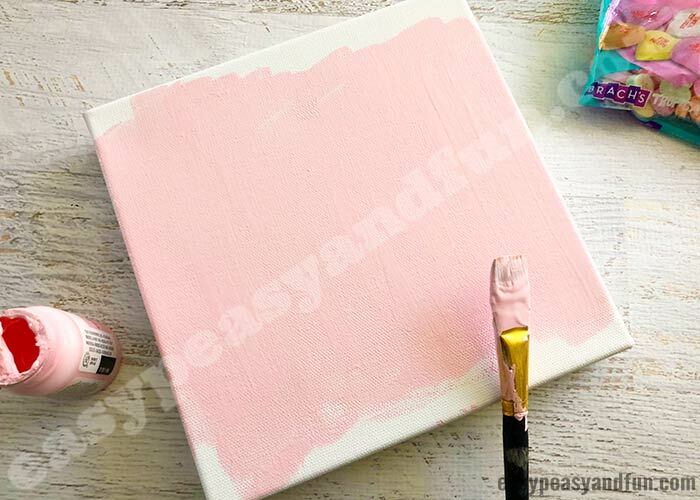 Paint the top and sides of your canvas pink and let dry. 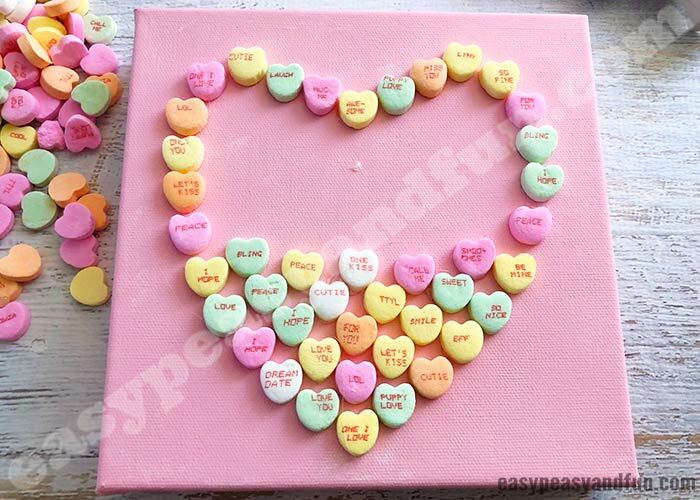 Start gluing your candy hearts onto your canvas. It’s best to start at the bottom point of the heart and working your way out. 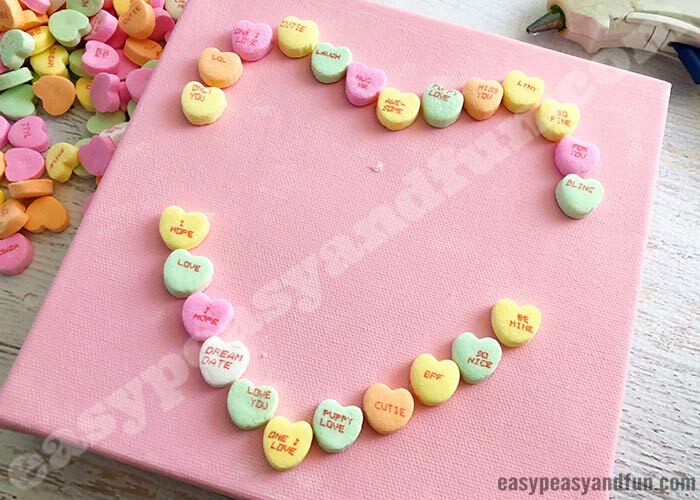 (You can always draw a heart in pencil if you want an outline). 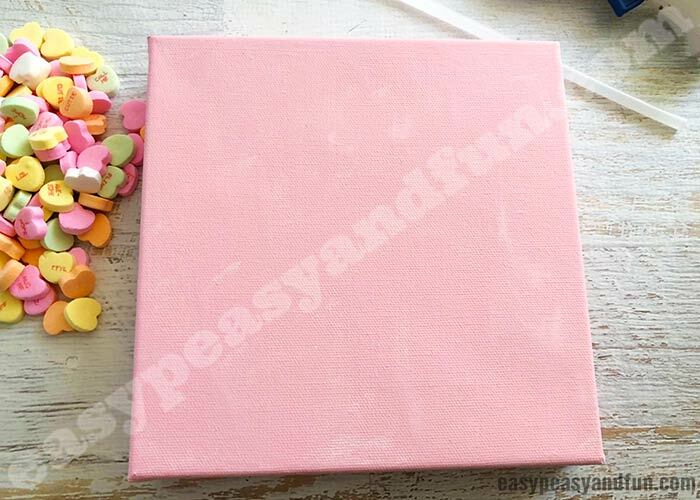 Next glue a heart in the top center, about 1 1/2-2” down from the top of the canvas. 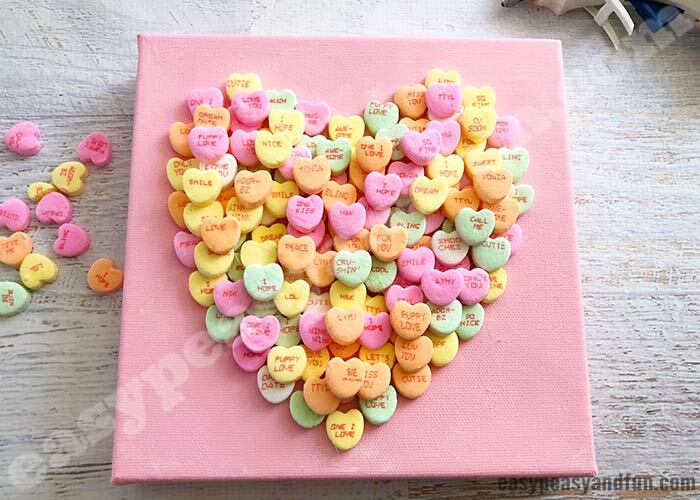 Glue 3 hearts next to the top center working your way up to the right on the right side and left on the left side. 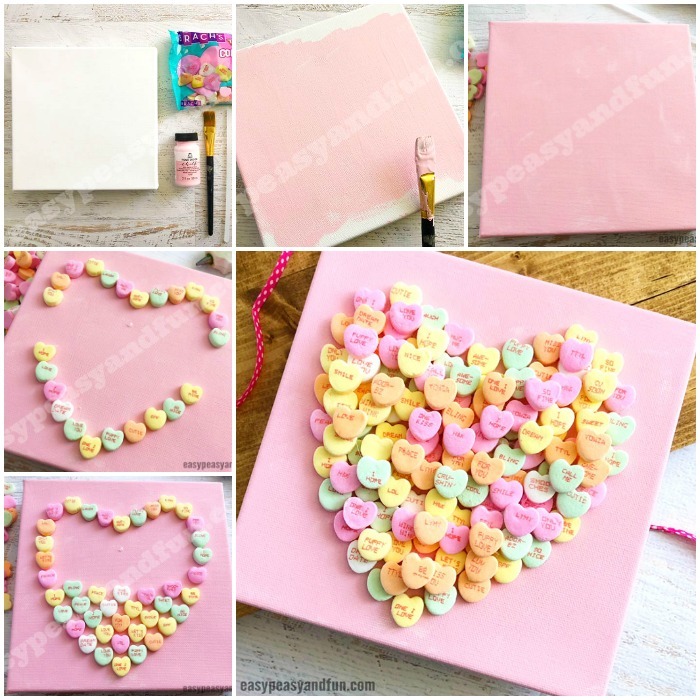 Glue your hearts onto your canvas to connect your sides so you have a heart outline. 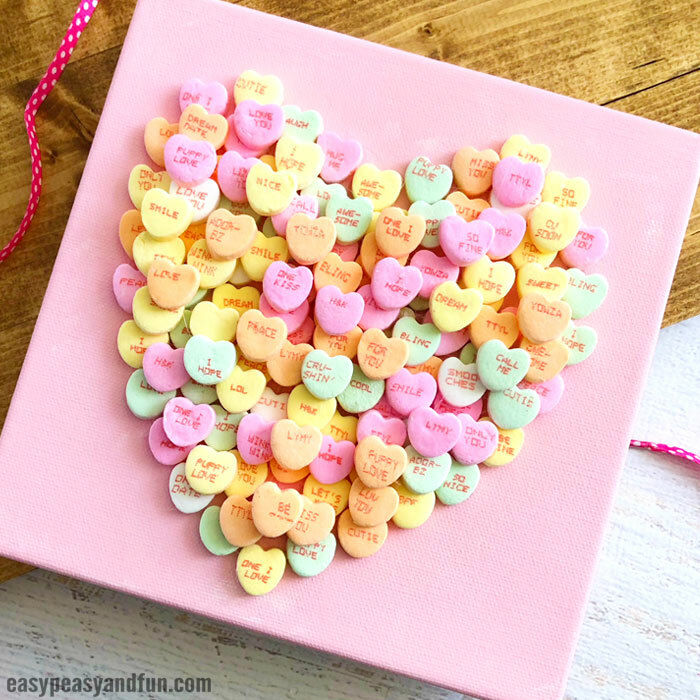 Fill in your heart with more candy hearts and then apply a second and maybe third layer until you don’t see the paint through the candy hearts.